Castlegate Open Community Of Artists (COCOA) is a temporary collective whose aim is to ‘shine a light’ on the Castlegate Quarter of Sheffield. 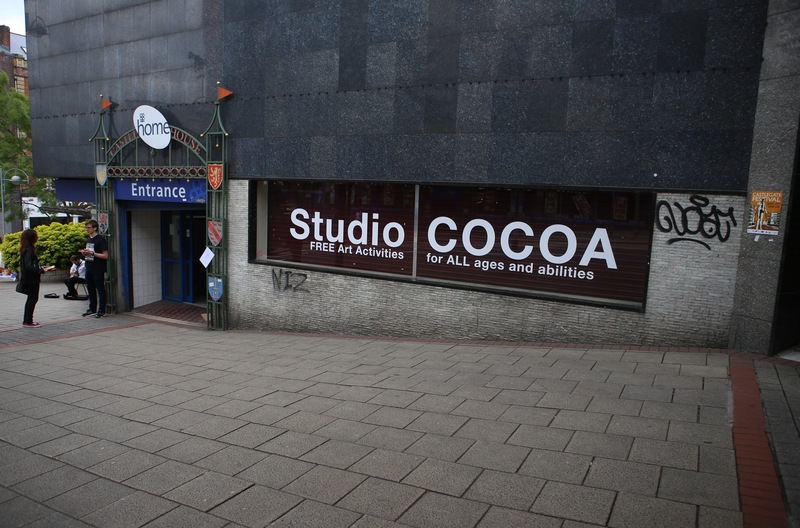 COCOA has been initiated by the artist Paul Evans as part of his current residency within Exchange Place Studios, Castlegate, Sheffield. As part of the Engaged University Programme, the University of Sheffield is supporting this residency in partnership with Yorkshire Artspace. This is part of Yorkshire Artspace’s ongoing residency programme established in 2005, and is part of a wider programme of cultural activities and events focused on Castlegate over the next two years under the banner of Castlegate Vibrancy. To view some initial thoughts on this residency, please visit our residency blog. Please click here for an interview with the residency artist Paul Evans.